During these dates in which streets, houses and shop windows are decorated with pumpkins, candles and skulls it is impossible to not dedicate the post of this month to Halloween, one of the most popular and awaited celebrations particularly in Anglo-Saxon regions. The origin of this tradition has pagan roots. In those ages it was a festivity which indicated the beginning of the known as ‘dark season’. On Samhain night, the Celtic New Year, spirits arrived from the world beyond. This is why it is traditional to dress up and wear terrifying masks. The goal: scaring evil spirits in order to send them back to the beyond. 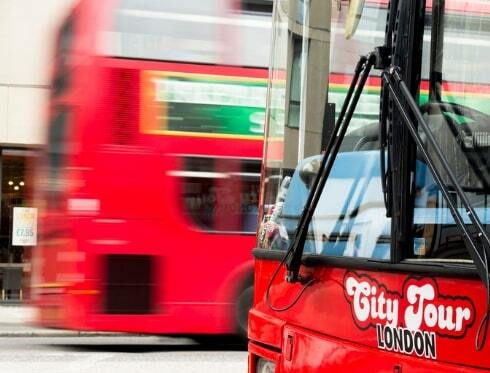 Do not hesitate to take London City Tour buses to enjoy a different London. 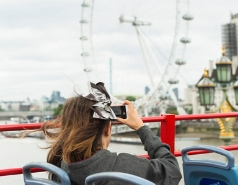 From the panoramic upper-deck you will be able to see the decorated streets and, at the same time, discover the sights offered by the official tourist bus service. If you visit London during Halloween, take advantage of the opportunity of participating in one of the activities set in this phantasmagorical festivity which take place from the 27th to the 31st of October. 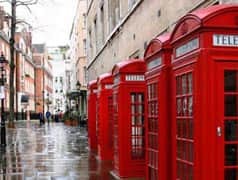 Ghost huntings, night walking tours… From London City Tour we advise you to visit the terrifying Jack The Ripper Museum or the London Bridge & Tombs, available on our Silver Package. London City Tour will take you there. If you want to go to Jack The Ripper Museum, you can hop off at the stop 7 (Tower of London) of the route Tower Loop and if you want to go to the London Bridge & Tombs, at the stop 6 (London Bridge) of the same route. Another attractive option is the Attraction Pass, available with 3, 5, 7 or 10 attractions. With this card you will be able to enjoy scary attractions such as The Ghost Bus Tour or the ones mentioned before, Jack The Ripper Museum and London Bridge & Tombs. If you have time, do not miss the chance to live an unforgettable Halloween experience.